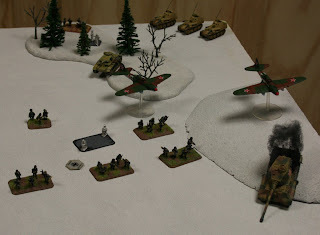 My friend CurtisK, a FOW aficionado (see his blog), came Thursday for a "training game" as he plans to participate in an officially sanctioned FOW Late War tournament in Saskatoon this weekend. His army list includes 3 King Tigers, a battery of 3 Wespe, a platoon of infantry and... that's it! His units are very well painted,especially the camouflaged ones. 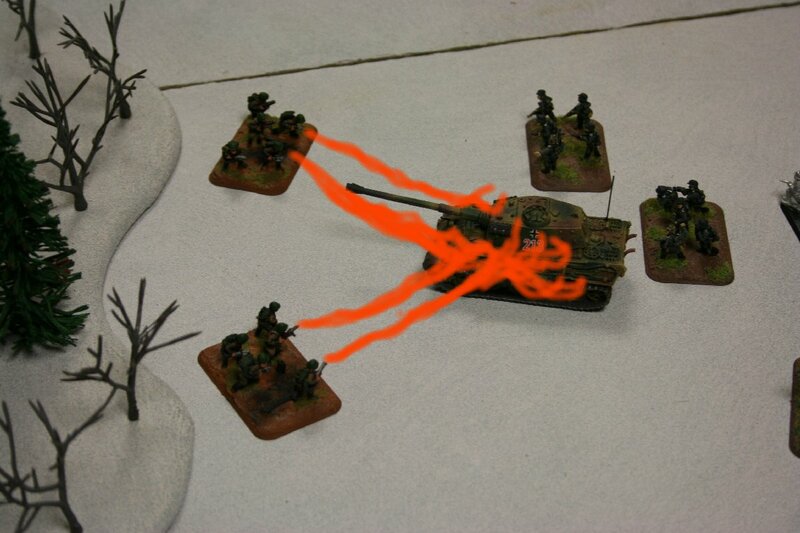 - 2 companies of infantry (1 platoon each) reinforced with flamethrowers and sappers. The scenario, randomly chosen, was "Fighting Withdrawal". I set up the Winter boards, that I haven't used in a while, and we prepared for battle. The German Bad Kitties are up there, on the upper corner. 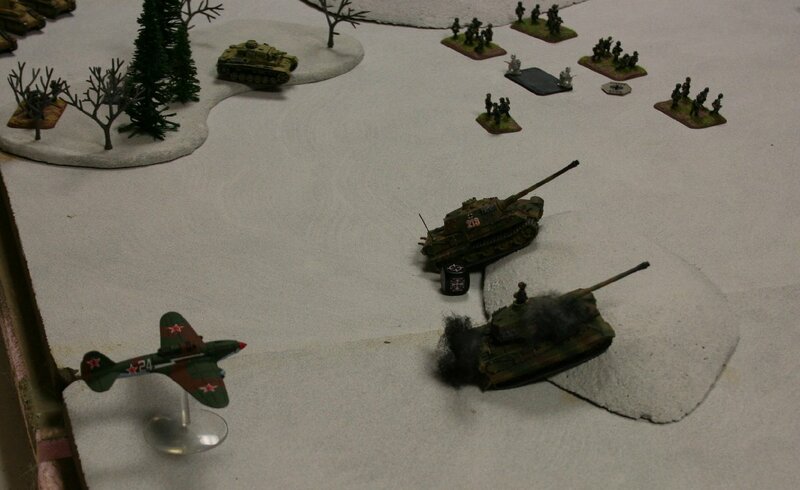 The Soviets deployed around the three objectives, two of them were to be removed as the withdrawal is progressing. ... then a second one! Things were not looking too good for the Germans as the clock was ticking. 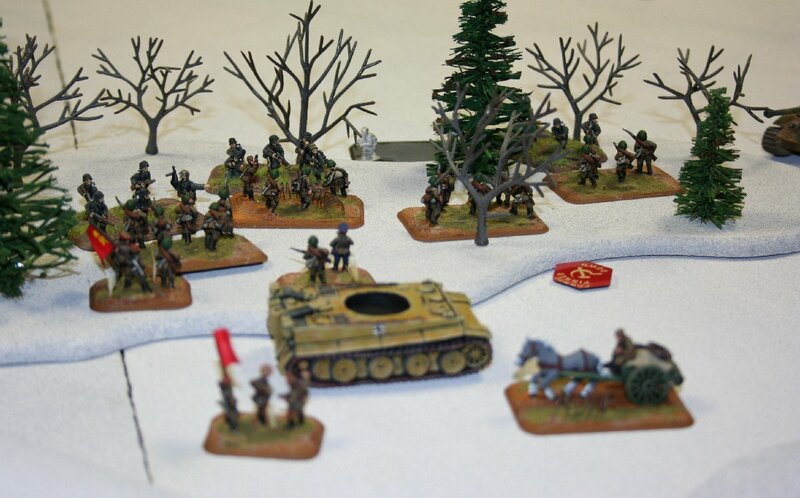 Two objectives were already removed, and the Germans launched a desperate assault to seize the last objective: a turretless Tiger I hull full of Zecret Dokuments hidden under the driver's seat. ... it was the infantry platoon!!! 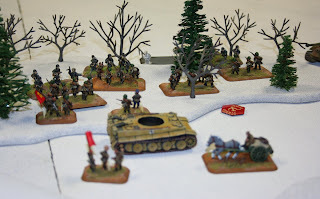 In a dramatic dénouement, the German grenadiers were able to overcome the more numerous Soviet defenders around the remaining objective, thanks to incredibly low dice rolls from the Soviet side. A last minute unexpected victory for the Germans. It was a very intense as well as very interesting engagement done within the 2 hour time limit of a tournament game. 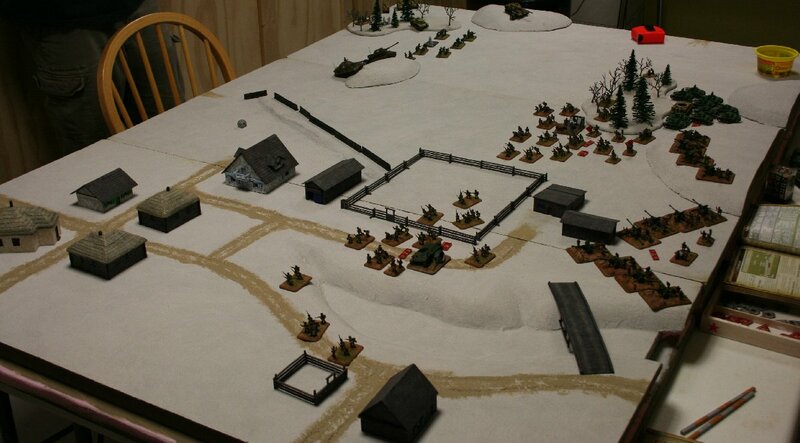 You can read CurtisK's own version of the battle here, as well as compare his pictures with mine. Lol, this was a super fun battle. very stressful. Always a sign of a great game. But thoser German Grenadiers were only proxies for the real force...they were infact PanzerPioneers, in disquise. Maybe that is why they were so tough?